What is an E-ink Screen? 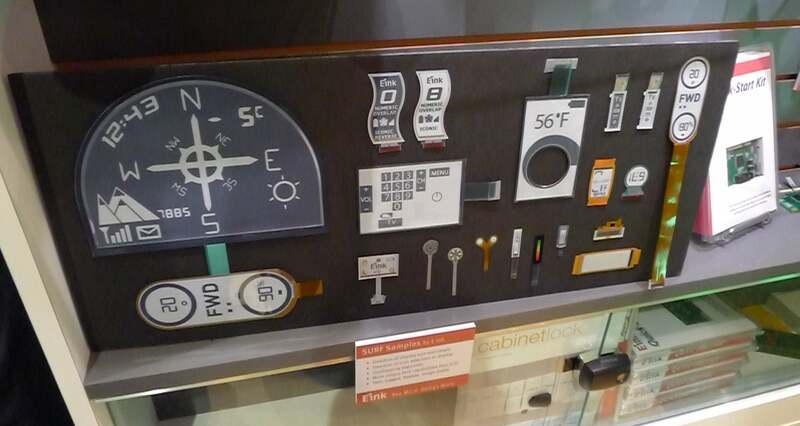 It's been a fun week here in Boston at SID Display Week and today I thought I might share something I learned about hat exactly an E-ink screen really is. eReaders like the Kindle, Nook, and others have gotten all the press attention when it comes to screen tech, and those screens are made by E-ink. This can make it a little hard to remember that when you call a screen an E-ink screen, you're actually referring to the material it is made from, not who made it. For example, all of the screens below are E-ink screens - even though they were manufactured by many different companies. There's also the Wexler FlexOne I posted about yesterday, which has a screen made by LG Display. It too is an E-ink screen because part of the screen was originally made by E-ink. And a few days ago I posted about my meeting with Plastic Logic, including several photos of their screens. Those screens, even though they're made by PlasticLogic and are commonly referred to as such, are also E-ink screens. 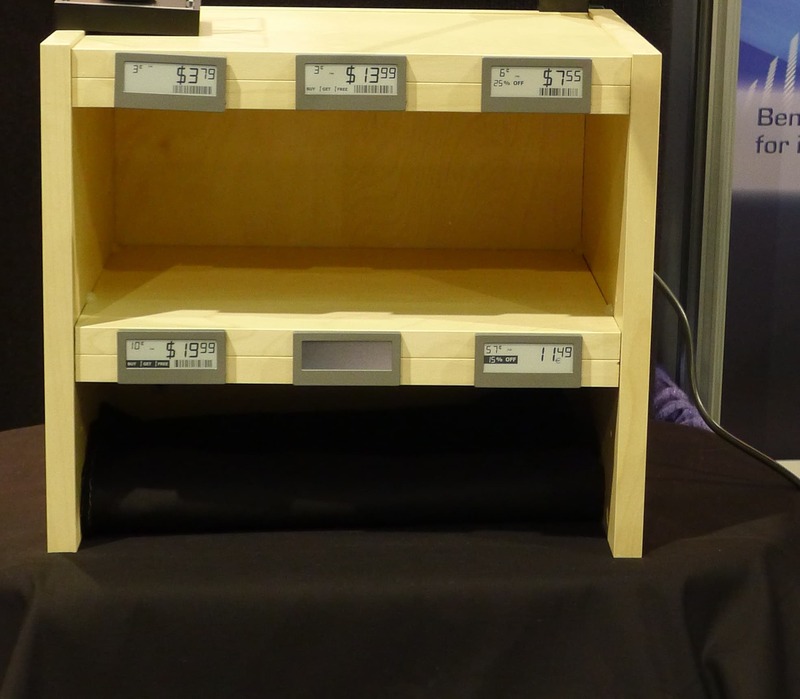 Or take a look at these shelf labels from Advantech. The screen used here is from E-ink, only Advantech mounted it on their own backplane. As strange as it might seem, all these screens are made using the same basic material. The main detail that sets them apart is that they are cut and then mounted on different backplanes. I think the best way to illustrate the difference comes from a post from last October. E-ink had sent me a few photos showing what their screen material looks like right when it comes off the assembly line. It's not the 6", 9", or 11.5" rectangles you might be expecting; no, the first step in making the E-ink screen involves forming a plastic sheet 3' wide by hundreds of feet long. That 300 ft screen is what gets cut up into all the funny little shapes you see above. It is also cut up and used for the screen on the Kindle, FlexOne, and for Plastic Logic's screen. So really, the most interesting detail about the screen isn't the screen itself; it's what people do with it after they buy it from E-ink. LG Display and PlasticLogic can each do something different with this same basic material by mounting it on different backplanes. It's a pity you cannot see them because the backplane is where all the real innovation happens. Is This the Backside of the iPad Mini? Looking at the photo with all the odd sizes, I wondered when BEA will have eInk name badges. Probably for the final BEA. The badges will be sponsored by Amazon, just before BEA dies due to lack of printed books. Someone is working on it, yes (and they already have products in that market). 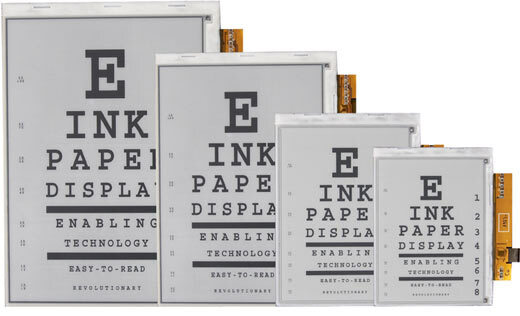 While most displays use E Ink’s screen film, isn’t there a competitor from/called SiPex that’s used in some eReaders? You should make difference between E-ink as a company and e-ink as screen type. What is this e-ink material made up of?